In many households, Valentine’s Day is the sweetest day in February. In our house, the sweetest day next month revolves around football. 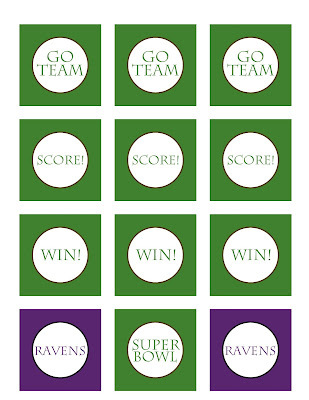 Forget the candy hearts and chocolate…I’m more interested in the Super Bowl and my Baltimore Ravens. Baltimore Ravens fan. Who else has their hands raised? Please leave me a comment below so I can meet you! A little back story…we moved to Baltimore in October of 2001. At the time, I disliked the Ravens. I was from Cleveland and I’ll just leave it at that. I was a bit bitter to say the least. But after a few years of living in Baltimore, I came to my senses and caved into my husband’s requests to become a fan. Now my family could quite possibly win the biggest fan award. 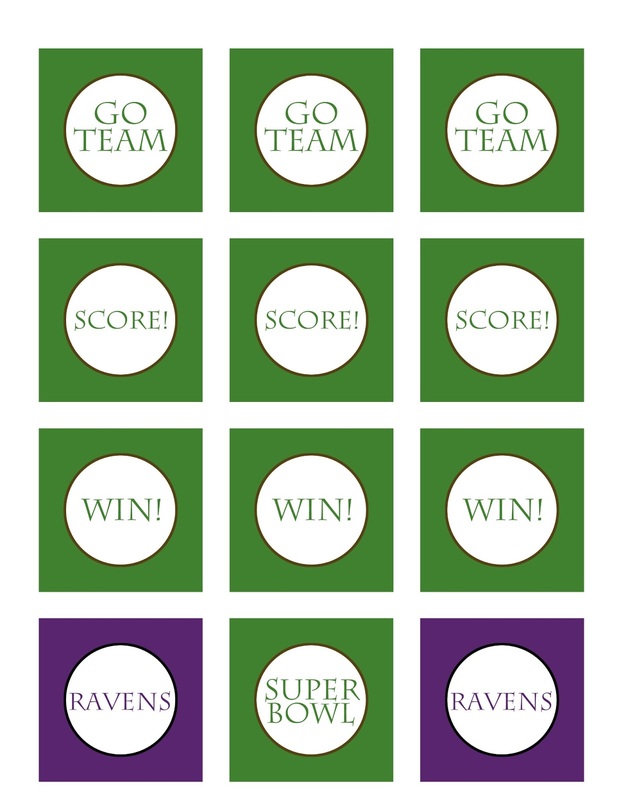 To say I’m excited about the Ravens in the Superbowl this year is an understatement. It seriously might be the highlight of my year. Although we moved away from Baltimore two years ago, we will be having our own Superbowl party at our house in NC this year complete with crab cakes and Old Bay! We may throw in some Natty Boh too although I’m not sure we can get that around here. And what is a party without some decorations? 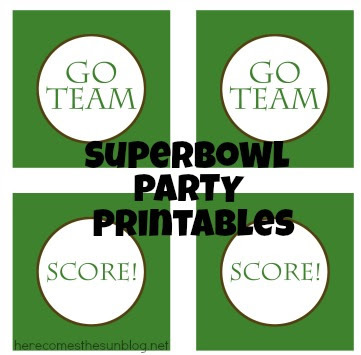 I created these Super Bowl Party free printables for all the crafty sports fans out there. You can use these for cupcake toppers or string them together for a banner or whatever you like. Right click to save. Print out on cardstock. Use a 2″ punch or scissors to cut out. These files are for personal use only. What a cute printable! I am not a big football fan, but my French husband is. Surprised me that he loved American football so much! To be honest I do love going to a Superbowl party!! Might use these for the goodie I bring!